The BMC has refused to grant an occupation certificate to the 4-storey staff quarters rebuilt inside the sprawling plot at Malabar Hill (above) that houses the chief justice of the Bombay high court. TOI has learned that the BMC has refused to grant an occupancy certificate till the CRZ clearance comes through. Bombay high court registrar-general Shrinivas Agrawal told TOI that the court administration has nothing to do with the construction of the building. “It is not our job to seek permissions nor do we construct. The task is carried out by the PWD. The court only requisitions the state for a building,’’ he said. Agrawal added that the court has not taken possession of the building. “We will not do so till all clearances are in place,’’ he said. A senior PWD official said the project file did not come to Mantralaya for approval. “Only projects over Rs 30 crore are sent here for approval. Since the building cost was a couple of crores, the sanction must have been given at a lower level,’’ said the official. Asenior civic official said: “This is a serious violation. In any other case, we would have issued a notice under the MRTP Act and Section 351 of the BMC Act. 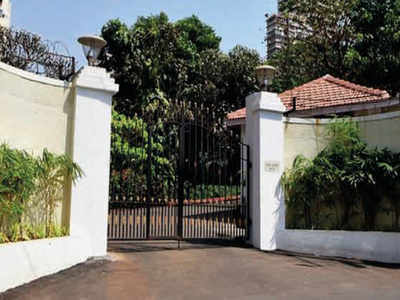 But since this is the chief justice’s residence, we will tread cautiously.’’ Reacting to the BMC refusing an OC, a source questioned why it granted the commencement certificate to start work if there was no environmental clearance. The proposal for CRZ approval was placed before the expert appraisal committee of the environment ministry after the building was constructed. “The committee during the course of deliberation learnt that the quarters have already been constructed but could not obtain occupancy certificate from the concerned authority (BMC) due to absence of CRZ clearance. The committee observed that the proposal is to be read as post facto clearance and is not a fresh proposal,’’ says the minutes of the 184th meeting of the committee held on January 24 last. The committee observed that for a project of such nature with “insignificant implications’’ on the CRZ characteristics of the area, the map prepared by PWD may be considered as sufficient for assessment of CRZ perspective. “It was also agreed that the project would not alter the characteristics of CRZ of the area and therefore agreed that the proposal in so far as CRZ implications are concerned has no issues,” said the minutes. Environmentalist Debi Goenka, said, “By amending the law to allow issuance of post facto clearances, the entire process of environmental impact assessment is reduced to a farce.